Joydeep Roy-Bhattacharya's heartbreaking and haunting novel, The Watch, takes a timeless tragedy and hurls it into present-day Afghanistan, giving us a gripping tour through the reality of this very contemporary conflict, and our most powerful expression to date of the nature and futility of war. Following a desperate night-long battle, a group of beleaguered soldiers in an isolated base in Kandahar is faced with a lone woman demanding the return of her brother's body. Is she a spy, a black widow, a lunatic, or is she what she claims to be: a grieving young sister intent on burying her brother according to local rites? Single-minded in her mission, she refuses to move from her spot on the field in full view of every soldier in the stark outpost. Her presence quickly proves dangerous as the camp's tense, claustrophobic atmosphere comes to a boil when the men begin arguing about what to do next. Joydeep Roy-Bhattacharya's heartbreaking and haunting novel, The Watch, takes a timeless tragedy and hurls it into present-day Afghanistan. Taking its cues from the Antigone myth, Roy-Bhattacharya brilliantly recreates the chaos, intensity, and immediacy of battle, and conveys the inevitable repercussions felt by the soldiers, their families, and by one sister. The result is a gripping tour through the reality of this very contemporary conflict, and our most powerful expression to date of the nature and futility of war. It's a beautiful day. The temperature's in the upper sixties, the sun's dipping in and out of cottony clouds, the sky's an iridescent blue. I'm canoeing down the Hudson, following the river's slow, wide course as it navigates between gentle slopes. Occasionally, a wooded copse spills right down to the waterline: green, brown, yellow, clad in camouflage colors. I can't see a single house, but a freight train runs parallel to the river, its metallic clangor stopping only when it slips into a tunnel at the neck of a bend. The silence that follows seems even more pronounced - and the great white-headed eagle that wheels over my head, riding thermals, suddenly plunges down to the water and flaps away, dangling the silver ribbon of a fish from its talons. All [of Roy-Bhattacharya's] characters are brought to life through their first person musings - their backstories and points of view are defined through reminiscences as well as dialog with each other. Dream sequences that meld into reality, and vice versa, create a surreal atmosphere that crosses from the conscious world to the unconscious, mimicking the blurred line between life and death in combat. The Watch is a tale that illustrates the futility of war at its most basic level. (Reviewed by Mark James). The horror and futility of war - on both the battlefield and the home front - weave their way through this timely achievement. Recommended for fans of Khaled Hosseini's The Kite Runner and particularly for readers interested in international settings or military issues. Starred Review. Every war spawns its major literary works, and Roy-Bhattacharya's powerful, modern take on the Afghanistan armed conflict resonates with the echoes of Joseph Heller, Tim O'Brien, and Robert Stone. Starred Review. The Watch touches on nearly every trope of war novels, but like the best of the breed, it does so in fresh, exciting ways. Difficult to put down, powerful, eloquent, and even haunting. We watch as the resistance of an isolated American garrison in Afghanistan is ground down, not by force of arms but by the will of a single unarmed woman, holding inflexibly to an idea of what is just and right. A poignant and important book about one of the defining events of the start of the twenty-first century; it is devastatingly eloquent and unequivocal about the fact that there is no glory or beauty in war. 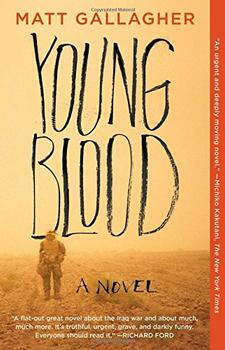 This book was an eye opener about the war and its impact. I enjoyed it while I cried. I recommend it highly to all to gain a better understanding of both cultures. The Watch gives us non-military folk first-hand experience about what war zones are really like. I now have a better understanding why a lot of these soldiers return home changed people. Overall, this was an excellent and eye-opening read. 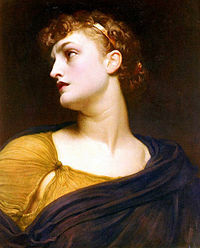 The Greek classic, Antigone (written by Sophocles around 440 BC, based on the older Theban legend), serves as the basis for the modern-day Afghan war story, The Watch. Joydeep Roy-Bhattacharya makes no attempt to hide the fact and even invites comparisons, titling two chapters "Antigone" and "Ismene" after the two sisters in the tragedy. A lieutenant in the story lends the classic text to his captain, urging him to read it because "it's about as cogent an analysis as anything you'll find about where we are today." But how alike are the two works? Jarhead meets Redeployment in a suspenseful and smart fiction debut that has been called "thrilling, tragic, and darkly funny" by National Book Award-winning author Phil Klay.